Excellent location! 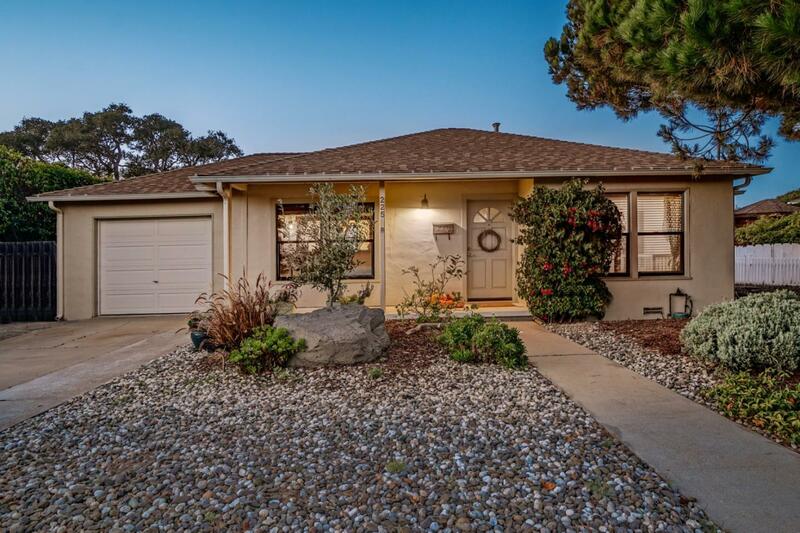 This adorable single-level, two bedroom, one bath home sits on a large lot in the desirable and sunny Oak Knoll Monterey neighborhood. The newly remodeled kitchen features custom white cabinetry, white subway tile backsplash, and stainless steel appliances with a gas stove. Wood shelving adds a modern touch. The bathroom was updated with tile shower surround and tile floors. French doors lead you to an outdoor space that is perfect for relaxing or entertaining with deck, picnic area, green grass and privacy. There is plenty of room for the garden lover to play. The living room and bedrooms feature hardwood floors. Laundry is located in the attached single car garage. The large lot provides ample room to add on! You are minutes to the beach, golf, shopping and restaurants. Brand new roof installed this summer. Move-in ready.